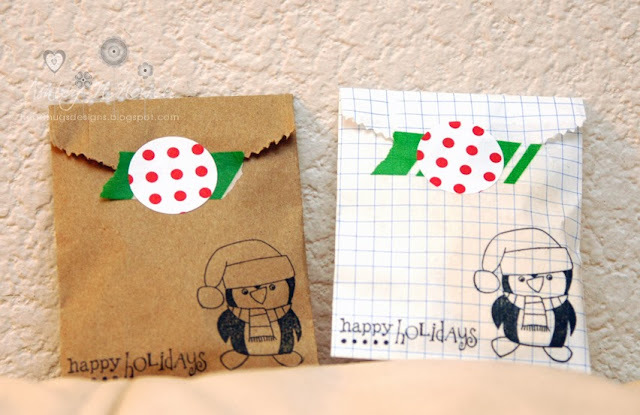 Today, I'm sharing the little gifts I made for the boys to give to their classmates. Brady's class was supposed to bring in a small item for each of their classmates to add to their stocking craft they made. It's a super cute way for the kids to give each other a small item but then no one gets left out. I was making Brady's classroom favors and Parker told me he wanted some for his class too. So, of course I had to run out and make some for him too. First up are the ones I made for Brady's class. I didn't plan well enough so I didn't have enough of any one color Little Bitty Bag to do the whole class. Brady wanted the stripe bag. 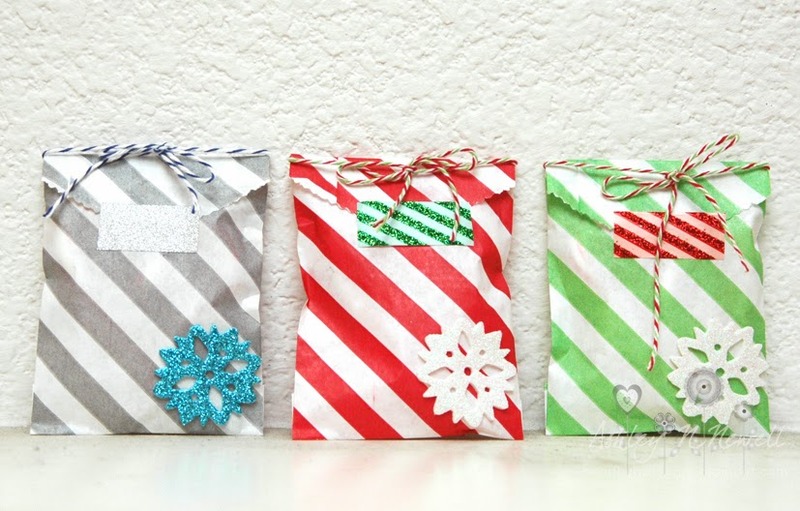 I ended up using the grey, red, and green Diagonal Stripe Little Bitty Bags with the Blueberry Divine Twine and Holiday Divine Twine. I added some glitter tapes and some glittery foam snowflake stickers. These are for 6 year olds after all. 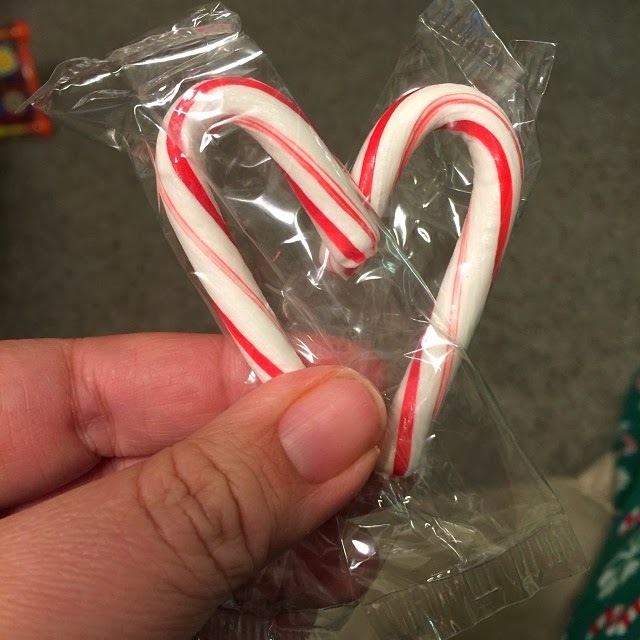 Inside I taped two mini candy canes together in the shape of a heart because it's adorable and I'm slightly crazy. Here are the ones I made for Parker's class. He's in a 4 year old preschool class. Again, I didn't have enough Little Bitty Bags to do a single color. I used the Plain Kraft Little Bitty Bags and Graph Little Bitty Bags. I used Taylored Expressions Penguin Pals stamps on these. I added some washi tape then finished with a Polka Dot Petite Stickys. Parker requested gold chocolate coins for the inside. Have a great day, friends! I'll be back before Christmas to share our Christmas card for the year. These are so fun, love the little candy canes! These are adorable! I especially love the penguin ones. Ellie's class this year is the penguins!